Want to trade or just sell your vehicles? We love buying vehicle and the more unique the better! Unlike other operations, we can give you a written offer on your vehicle even if you don’t buy a car from us. Fill out the trade form – we will evaluate your vehicle and make you a written offer good for seven days. Our form is short, simple, and will ask a few questions about your vehicle so we can determine the value of your trade. To complete the form, you will need your VIN and be able to provide an accurate mileage reading. We love to buy trades – so fill out the trade-in form to find out what your car, truck, or SUV is worth today. 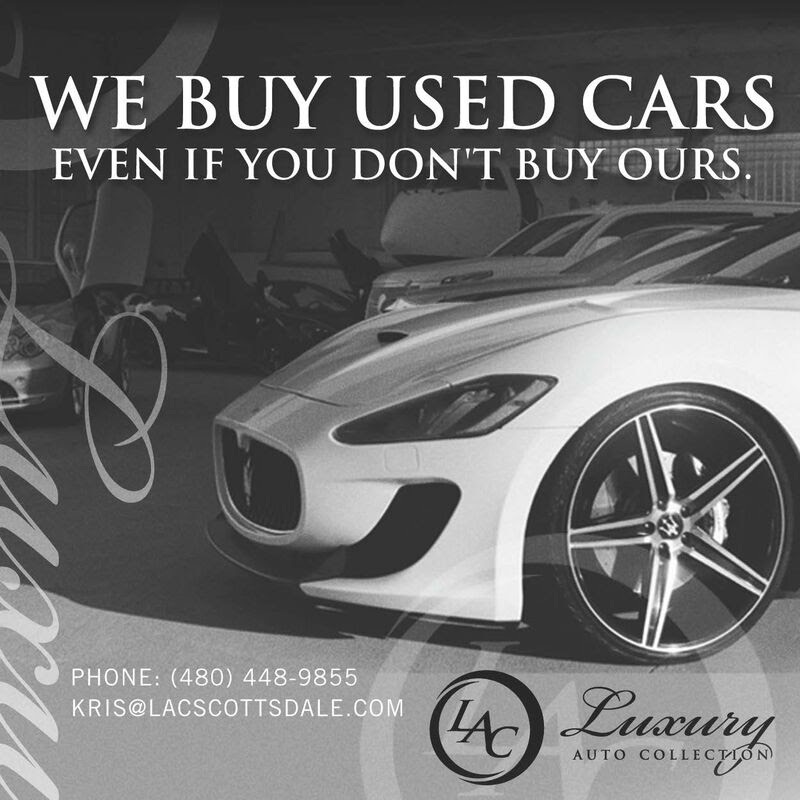 Remember, we will buy your car, even if you don’t buy one from us! Our business is built on getting high-quality trade-in vehicles from our customers. By submitting this form you agree to be contacted by a Luxury Auto Collection staff member and said vehicle does not have damage or repair to the chassis or unibody and the motor block and cylinder heads are not cracked, welded, or repaired. The present engine in the vehicle is the original installed by the vehicle's manufacturer. The vehicle was never in a flood and has no salvage or junk history. Said vehicle has not been in any accident that resulted in damages over $3000 and the emission control equipment has never been altered or removed. The airbags have never been deployed. I understand that I may be responsible for any damages you may incur in the event I have misrepresented the condition of my trade-in vehicle to you.